TruexCullins is busy and growing. We have job openings for experienced architects, designers and interior designers in all of our design studios: Resort, Home, Workplace and Education. Our ideal candidate is a registered architect with at least 10 years of experience in managing new construction, as well as complex addition/renovations from early design to final construction. Must work well in an open-studio, team environment and be knowledgeable about sustainable design and LEED. Revit proficiency is desirable. 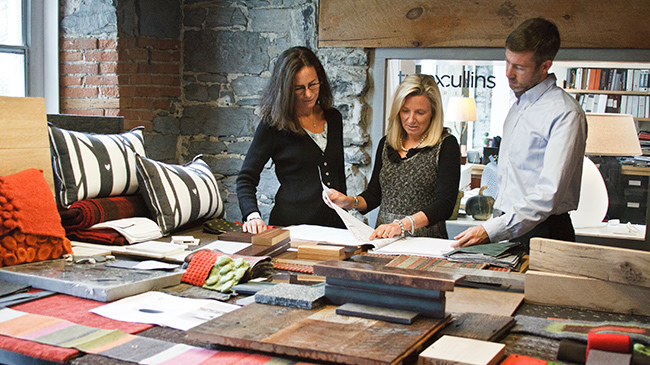 TXC is seeking creative and seasoned interior designers with experience in resort or residential design. The perfect candidate would have at least 10 years of experience in managing high-end projects. Core skills of professional communication, time management and attention to detail are essential. Preparation of specifications for both fixed finishes and FF&D important. TruexCullins is looking for recent graduates with three or more years of experience. Proficiency in Autodesk Revit preferred. Please send cover letter, resume, and work samples to: employment@truexcullins.com.